Acorns is a charity which is close to the Managing Director Sid’s heart. A tribute fund was set up in memory of Kelsey the daughter of Sid, Kelsey’s Daisy Chain Tribute Fund. 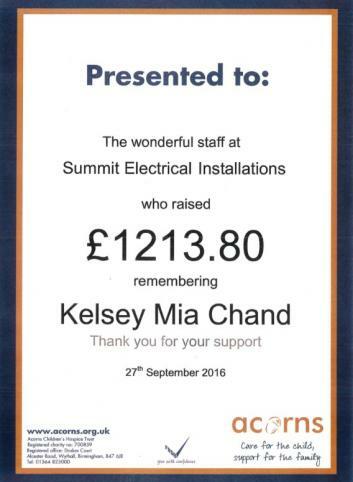 During 2015-16 Summit staff raised £1,213.80 for Acorns in memory of Kelsey by taking part in Dress Down Friday. In total this fund has grown to a total of £10,366.26.